Another sign that the Heights is growing up and becoming a place-to-be in Houston: Sprouts Farmers Market is building here. Sprouts is to be one of the companies leasing space at the shopping center going up at Yale and I-10. Sprouts offers offers healthy eating alternatives and offers tips on healthy eating. 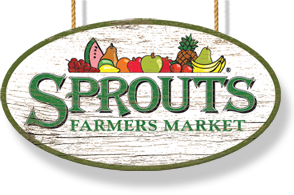 Phoenix-based Sprouts opened its fourth Houston-area location at 11940 Westheimer Road at South Kirkwood earlier this month. It’s got a while to go yet, construction isn’t due to start until year end. Two other tenants will include Guitar Center and LA Fitness. The Heights must be a fit neighborhood, we have fitness centers all over now.